Little Mason GALLUP was the son of Nehemiah Mason GALLUP II and his wife Huldah WHEELER. His father was often known as Mason. 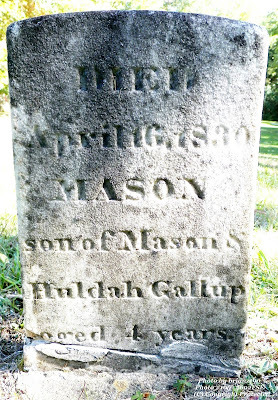 His small gravestone reads: DIED/April 16, 1830/MASON/son of Mason &/ Huldah Gallup/aged 4 years. Notice that it was cracked and repaired. 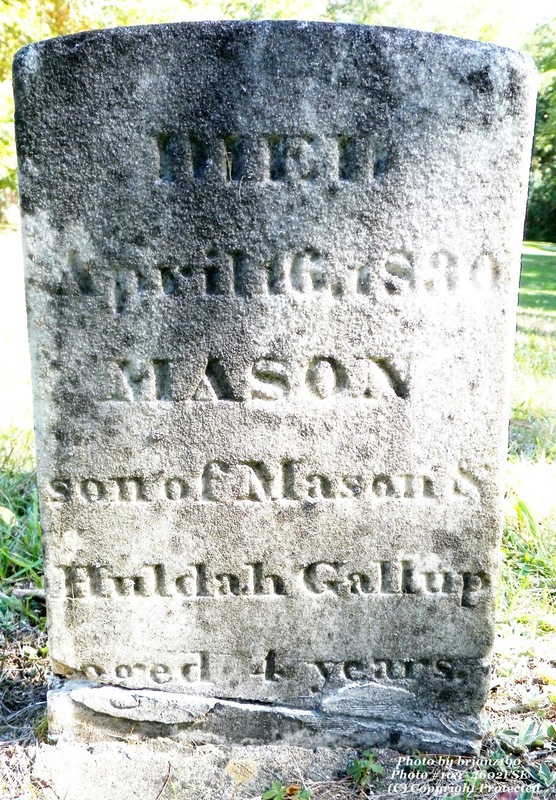 The Gallup genealogy (#2617 p. 326) states that little Mason was born 4 March 1826 and died 16 April 1830. He was the 8th child out of 12 born to this couple.